Includes a 3 position auxiliary handle for user comfort and adapting to multiple work angles. 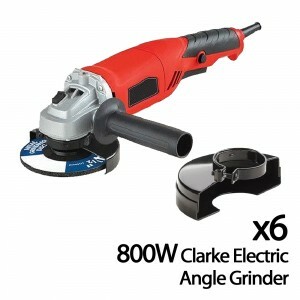 Supplied with grinding disc, open and closed guards and spare carbon brushes. High Quality DIY Tool at an Excellent Price. A Bargain that`ll make you a Fortune!